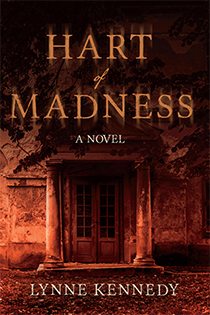 In 1902, New York City, nineteen-year-old Ruby Hunt comes home to her Park Avenue apartment to find her family murdered. She is the prime suspect in these gruesome crimes but instead of being placed under arrest, Ruby is committed to an insane asylum for life. Detective Liam McCarty is convinced Ruby is innocent and sets out to prove it with the help of investigative reporter Nellie Bly, whose experience in an insane asylum makes her the perfect partner. Time is running out, however, because Ruby’s treatments are becoming increasingly debilitating. If Liam doesn’t rescue her in time, she will be scheduled for a lobotomy. Over a century later, when a descendant of Ruby’s uncle is murdered, homicide detective Frank Mead soon realizes that the connection between Ruby’s case and his current murder is inescapable. It won’t be the first time Frank has solved a cold case from the distant past to resolve today’s crime.